PacificSport Okanagan is proud to present the 16th Annual Okanagan Sport Leadership Conference! A one-day Sport Conference for coaches, administrators, sport practitioners, educators, recreation leaders, athletes and parents designed to provide sport education opportunities and hands-on training skills. The Conference will feature keynote speaker Jennifer Heil who is an Olympic athlete and a community service activist. She has won Olympic Gold and Silver medals in the sport of Freestyle mogul skiing, is a four time World Champion and five time overall World Cup Champion. Jenn is a celebrated ambassador of community service including the Because I am a Girl initiative where at the age of 26 she donated $25,000 and accepted the challenge to raise $1million to help women rise up out of poverty. She also runs her own girls only mogul ski camp and is the co-founder of B2ten, a group that is reshaping how Canadian Olympic athletes can attain their full potential. For more information about Jennifer Heil and her initiatives, visit www.jenniferheil.com. **Inclusive sport participation means participation for all. 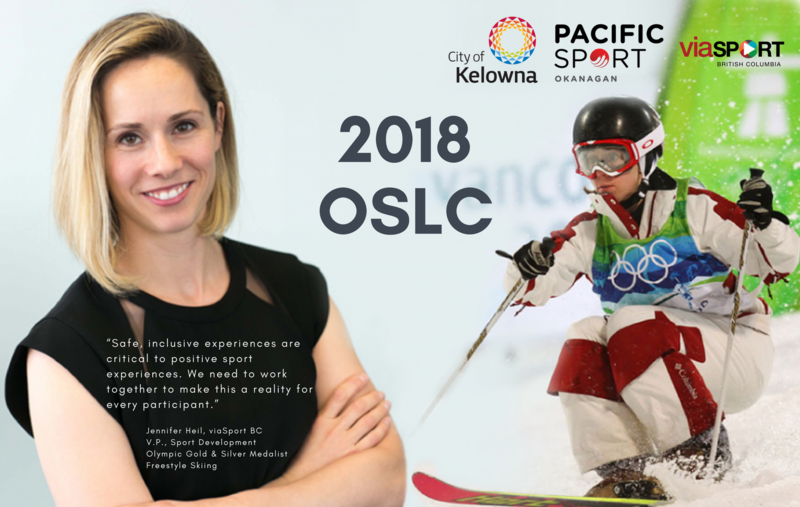 If you require financial assitance to attend the 2018 OSLC, contact Cheryl Browne, Sport Events and Grants Coordinator. Mental Health 101 for Sport - Presented by Amanda Swoboda, Canadian Mental Health Association – Kelowna and sponsored by Pacific Blue Cross.